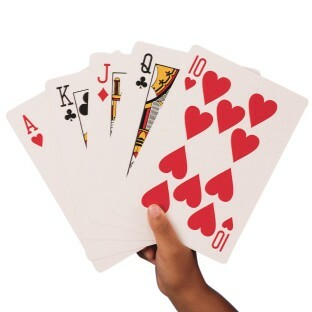 Over 4 times larger than standard playing cards! 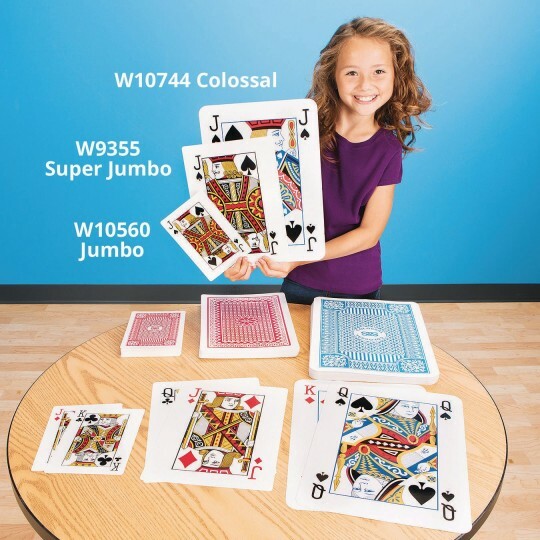 Durable jumbo playing cards measure 5" x 7-1/4"
All ages will love them! 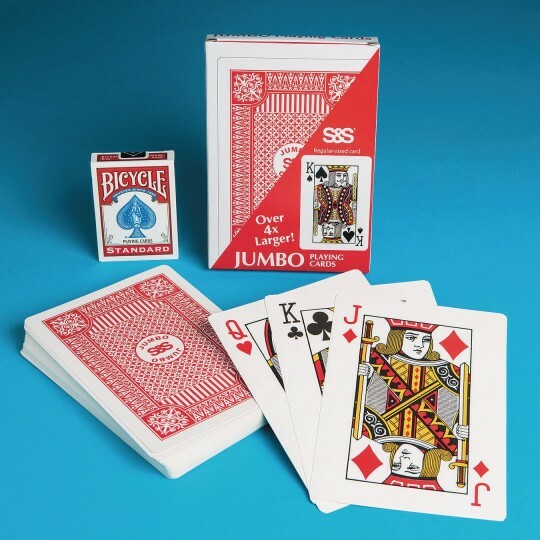 Durable jumbo playing cards measure 5" x 7-1/4", making them over 4 times larger than standard playing cards. Kids love anything big and seniors will appreciate the easy-to-see-and-handle size! Includes 52 standard poker cards and 2 jokers. Good number and matching game for young children. Used for simple card games with visually impaired residents and also for counting and recognition exercises. Myself and my students love them! I'm buying more! We use these cards for Pokeno for our memory care community. Also for a small turn over the cardsmemory game. They are easy to see especially for a group. these cards allow some of my older residents in our Assisted Living to be independent again.